I’m a huge proponent of organizing books by color (especially children’s books), because that’s how I remember them. I forget titles and authors but I can always picture the cover in my mind’s eye, which makes this the most efficient way for me to organize my book collection. 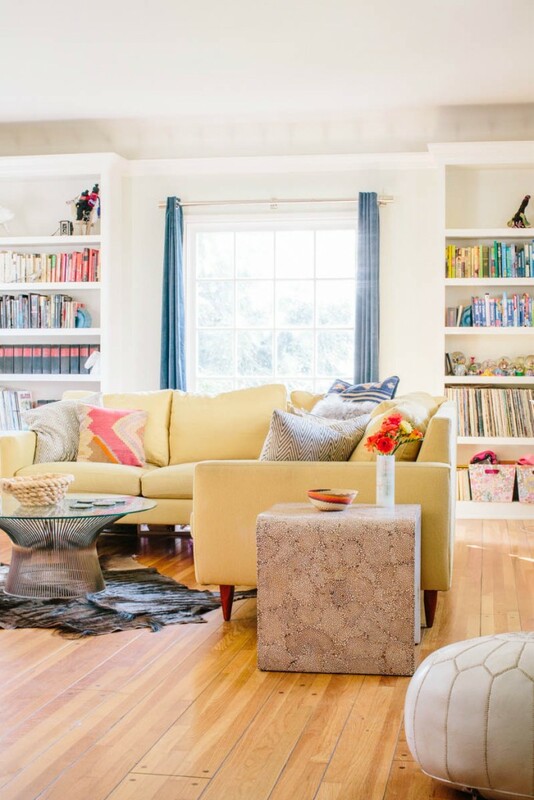 You can sort of see some of my rainbow book collection in the pic of my living room, above. Every bookshelf in my house (and there are six) is a rainbow. Scarlet is the same way as me as far as how her memory works, so her bookshelves are also organized by color. The added bonus is, it looks great and makes a bookshelf appear less scattered and more like a design element. 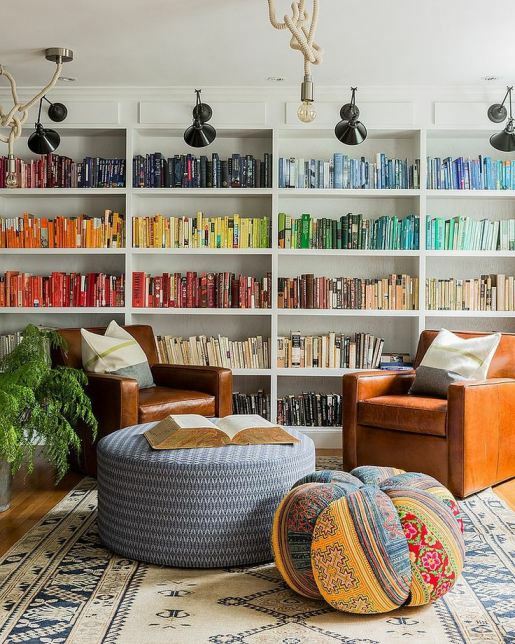 Here’s some of my favorite rainbow bookshelves for inspiration. So pretty surrounding a fireplace in a bright white room, at SFGirlbyBay. 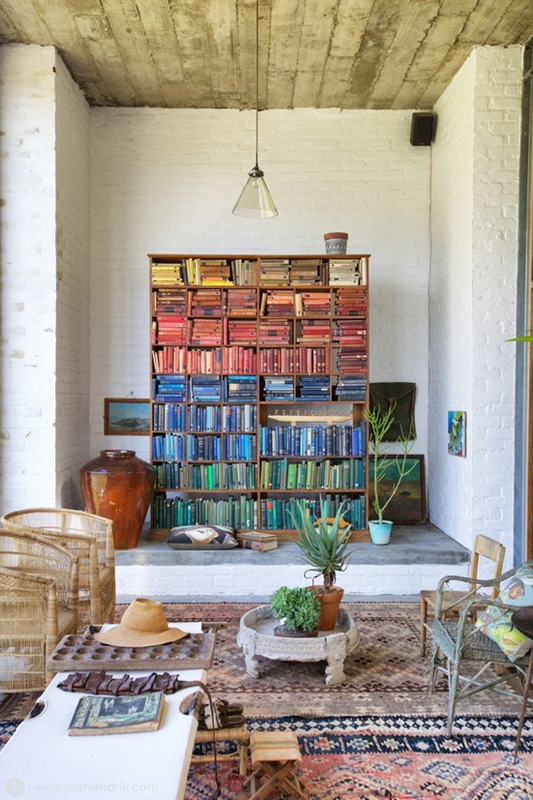 Boho rainbow of books at myparadissi. 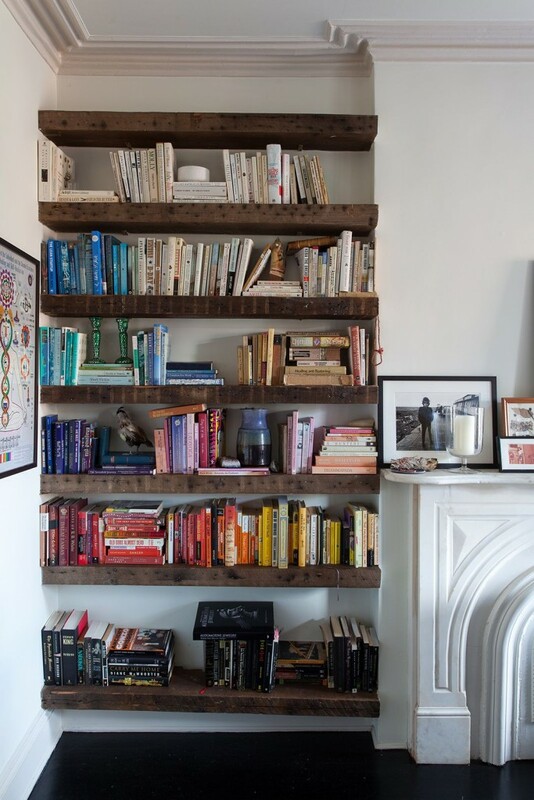 Love the chunky dark wood shelves, at Refinery 29. 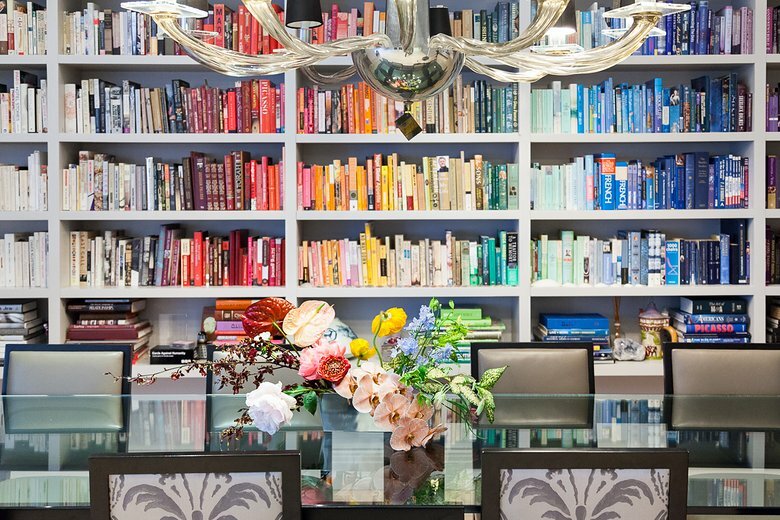 Floor to ceiling rainbow books at stylecaster. 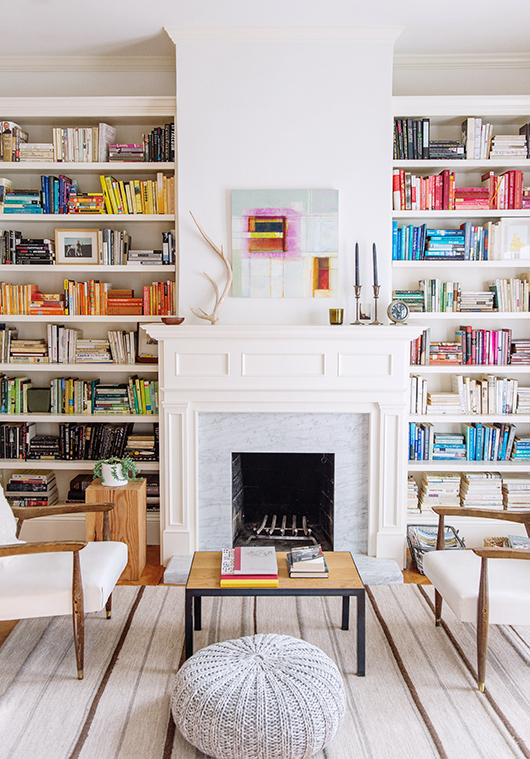 So, how do you organize your books?